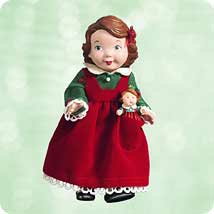 Hallmark Keepsake Mistletoe Miss #QX8113 Excellent Condition FREE SHIPPING! 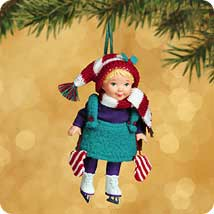 HALLMARK KEEPSAKE ORNAMENT "MISTLETOE MISS" SWEET HOLIDAY TREASURE! 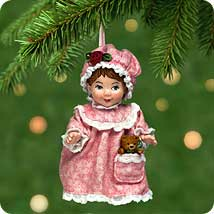 VINTAGE 2003 HALLMARK MISTLETOE MISS COLLECTORS SERIES CHRISTMAS ORNAMENT.